A Soyuz rocket carrying a NASA astronaut and a Russian cosmonaut failed in mid-flight on Thursday , though the crew survived without injury. 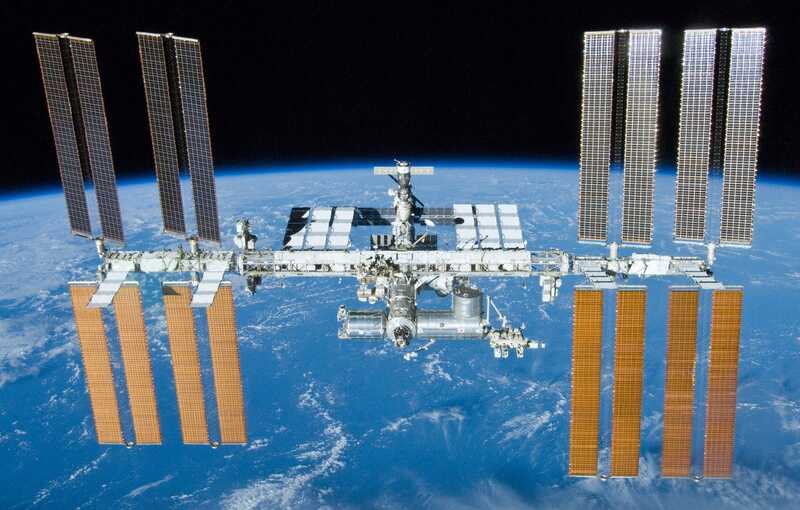 Soyuz is the only human-rated spacecraft available to NASA, Europe, Russia, and other partners of the International Space Station– but it is now grounded indefinitely. SpaceX and Boeing are building new commercial ships to reach the space station, but they wouldn’t help with the current situation. 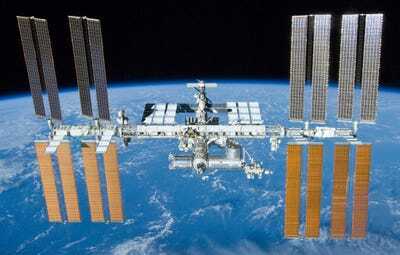 Three people living aboard the $US100-billion space station could even be forced to evacuate the orbiting laboratory in January 2019. SpaceX and Boeing are building new commercial ships for NASAto ferry astronauts and cosmonauts to and from the floating laboratory, but those vehicles aren’t finished. The soonest they might fly people is mid-2019, and approval for standard crewed missions may not come until the end of next year. 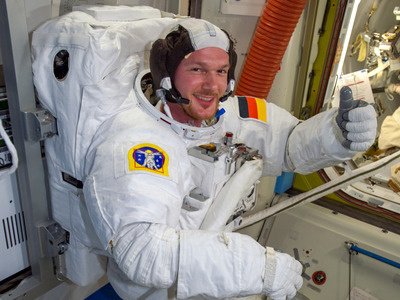 “This isn’t a surprise to astronauts. All machines fail eventually. The real question is, are you ready for your machine to fail or not?” Chris Hadfield, a retired astronaut who’s flown the Soyuz to space, said in a live Periscope broadcast on Thursday morning. Bill Ingalls/NASAThe Soyuz MS-10 rocket is rolled out by train to the launch pad, Tuesday, Oct. 9, 2018 at the Baikonur Cosmodrome in Kazakhstan. 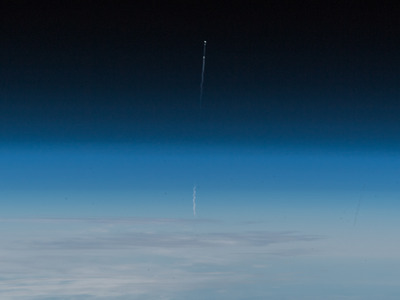 That’s when an “ABORT” light appeared in the cabin and, about a second later, the system automatically ejected the capsule, Kenny Todd, the space station’s Mission Operations Integration Manager, said during a press briefing on Thursday. Todd couldn’t say whether the second-stage rocket exploded or simply lost thrust, but estimated the crew ejected some 30 miles above Earth, which is halfway to the edge of space. 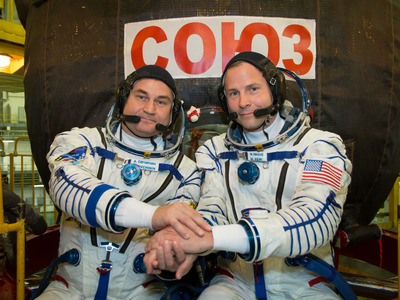 Victor Zelentsov/NASAExpedition 57 crew members Alexey Ovchinin of Roscosmos (left) and Nick Hague of NASA (right). During the first leg part of its 34-minute journey back to Earth, the capsule entered what’s called a ballistic descent – essentially the equivalent of falling out of the sky like a stone thrown into the air. This is risky because the capsule isn’t on a path to best use Earth’s atmosphere to gradually slow down. Reid Wiseman, a NASA astronaut who works on the ISS program, said during Thursday’s press briefing that his “heart was beating hard” when he saw the abort. “‘I hope they get down safe.’ That was the only thing going through my mind,” Wiseman said. 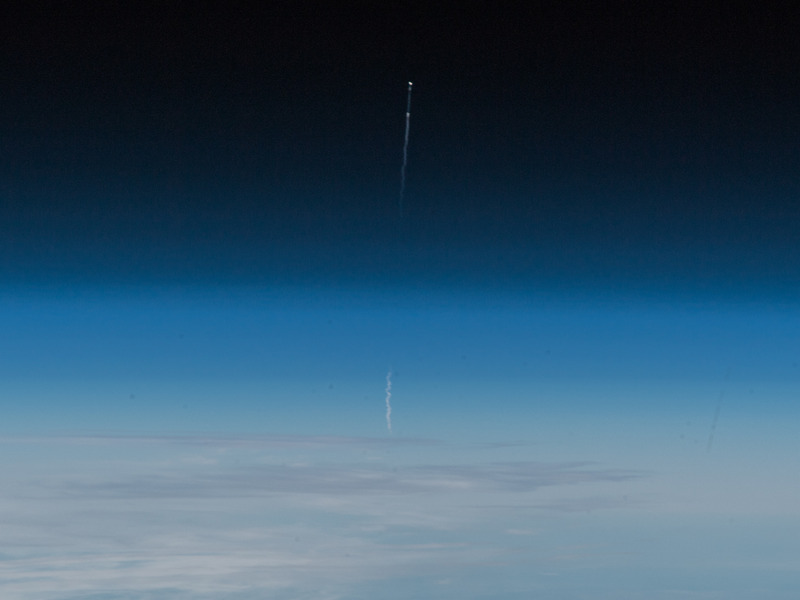 Alexander Gerst/ESA/NASA via FlickrA view of the Soyuz MS-10 failure from space on October 11, 2018. This is only true in terms of keeping the ISS staffed. 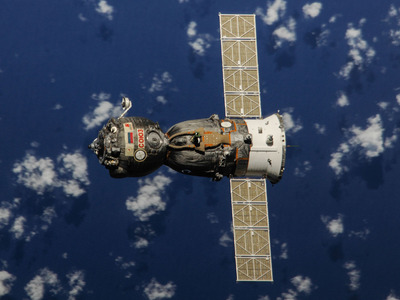 The crew does have another Soyuz spacecraft attached to the space station, and they can board it to evacuate – either in an emergency or at the direction of mission control. But that Soyuz “lifeboat” spacecraft only has a roughly 200-day shelf life in space. “There’s a little bit of margin on the other side of that, but not a lot of margin,” Todd said. Wiseman said he spoke to the crew Thursday morning and that they’re prepared for whatever comes next. Wiseman and Todd said the ISS has plenty of supplies, with more on the way from cargo ships like SpaceX’s Dragon. Todd also said it’s too early to be worried about emptying the space station, since the Soyuz investigation may last only weeks instead of months. “We could tolerate some significant failures and continue to operate,” Todd said, though science experiments that crew members run aboard the station would be affected. Why can’t Boeing and SpaceX step in to help? Although SpaceX’s Crew Dragon and Boeing’s CST-100 Starliner spacecraft are nearing completion as part of NASA’s Commercial Crew program, they’re not yet ready for primetime. The earliest NASA is willing to test-launch either ship with astronauts on board is a very fuzzy date of mid-2019. Roscosmos didn’t provide an estimate on how long a Soyuz-failure commission will take to conclude its work. Even if the investigation is concluded quickly, though, it’s not yet known which fixes might need to be made to Soyuz – and Russia’s Progress cargo spaceships, which use the same rocket system – and how long any alterations might take. 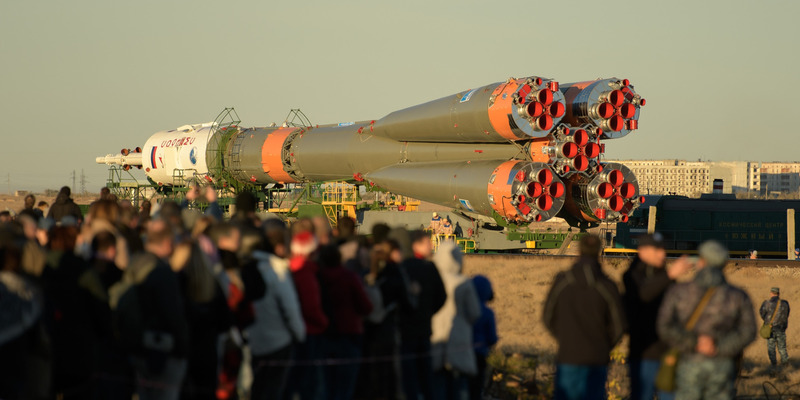 If the Soyuz failure takes months to figure out and remedy, though, it could actually end up further delaying SpaceX and Boeing’s first crewed test-launches. That’s because NASA requires a crew on the space station in case anything goes wrong with docking operations of the Crew Dragon or Starliner. In any case, Hadfield said this is not the end of Russia or NASA’s space programs. “If your car has an engine failure, are you never going to drive a car again? Of course you are,” Hadfield said. John Logsdon, a space policy expert, author, and spaceflight historian at George Washington University’s Space Policy Institute, says he is not surprised by the pickle that NASA and its partners are now in.